Now that everyone acknowledges obesity is a disease, anti-obesity medicines must be viewed from a new perspective. Physicians like Dr. Hendricks, who specialize in the medical treatment of Overweight and Obesity, have long agreed that anti-obesity medicines should be a part of the treatment for most patients. Guidelines for treatment suggest the treatment components of good medical programs for treating obesity include diet, lifestyle intervention, AND pharmacotherapy. Obesity Medicine and Bariatric Physician specialists often use a variety of the traditional drugs and drug combinations for treatment they have found to be very effective and safe. The most commonly used medicine for treatment of the overweight and obese patient is phentermine. Phentermine, approved by the FDA in 1959, is used by 99% of Obesity Medicine specialists as the first choice drug for treating overweight and obesity for nearly sixty years. The same is true for diethylpropion and phendimetrazine, two anti-obesity drugs that also date back to 1959. In addition to these traditional drugs, Obesity Medicine specialists also use topiramate (Topomax), metformin (Glucophage), bupropion (Wellbutrin), zonisamide (Zonigran), exenatide (Byetta, Bydureon), liraglutide (Victoza), naltrexone, and 5-Hydroxy-tryptophan/Carbidopa as single agents or in combination with other drugs. In addition to the traditional drugs including phentermine, diethylpropion, and phendimetrazine, there are now FOUR NEW prescription anti-obesity drugs available: Saxenda (liraglutide), Contrave (naltrexone/bupropion), Belviq (lorcaserin), and Qsymia (phentermine/topiramate). Dr. Hendricks has experience with each of these. Combinations of drugs sometimes are more effective than single agents. Commonly used combinations for treating overweight and obesity include phentermine combined with topiramate, phentermine with bupropion, phentermine with diethylpropion, phentermine with metformin, and phentermine with 5-HTP/Carbidopa. In patients with diabetes, phentermine can be combined with exenatide, liraglutide or canagliflozin (Invokana). Generic naltrexone with bupropion is another useful combination. Some specialists are combining lorcaserin (Belviq) and phentermine and some are adding additional phentermine to Qsymia. Metformin is a diabetes drug and patients with high fasting blood sugar (pre-diabetes), high insulin levels, or signs of insulin resistance, should be treated with metformin to prevent diabetes and possibly accelerate weight loss. Some U.S. Obesity Medicine Specialists also use it in patients without diabetes because it can improve weight loss. Recent studies show some Oncology physicians prescribing metformin to their cancer patients because it can reduce inflammation thus helping improve the treatment of cancer. Anti-Obesity medicines are thought of as weight loss medicines. However, these medicines typically first induce changes in eating behavior leading to reduction in food intake followed by weight loss. These drugs are also used to prevent weight gain after gastric bypass surgery or after other bariatric surgical procedures. 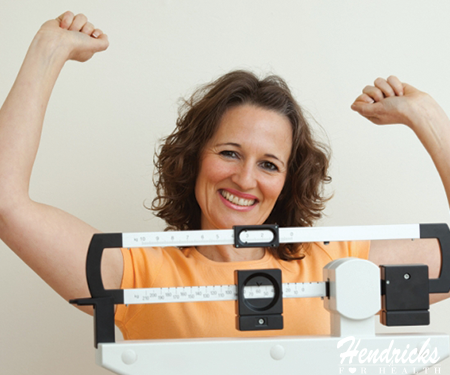 They are also used for patients whose weight loss plateaus following bariatric surgery. Adding one or a combination of these medicines may prevent weight regain following bariatric surgery or even induce further weight loss. They are also used to prevent or retard weight gain in patients who gain weight when taking a variety of other medicines such as antidepressants, birth control drugs, prednisone(steroids), and numerous other medicines known to induce weight gain. While most commonly these drugs are used to improve weight loss efforts, they are also used long-term after weight loss to assist with maintenance. Of course weight loss is induced by a diet – a lower caloric intake, or more specifically by a lower intake of carbohydrate calories. But patients who are prescribed an anti-obesity medicine coupled with a diet change lose more weight at a faster pace. Why? Because their eating behavior changes and they eat less than before. Once we thought this eating less was just suppression of appetite but now we know it’s much more complicated than that. A daily dose of an anti-obesity medicine actually helps you control and change your eating behavior. Food cravings may subside or disappear, you may be satisfied with less food, and you may have better control over your stress or emotional eating. Of course not everyone has the same eating behavioral problems, and not everyone reacts the same to the medicines, but these are some of the effects our patients using these medicines report. In fact, our research indicates there are at least 12 separate problem-eating traits that benefit from the medicines. Actually we believe there are quite a few other problem-eating behaviors that can be helped with the medicines. We are continuing with our research into how our patients respond to anti-obesity drugs and now have evidence that these drugs help patients improve their eating behaviors. These beneficial changes occur quickly as soon as a patient starts taking any anti-obesity drug and continue as long as the patient takes the drug. Patients on maintenance who have been on phentermine for as long as 25 years report they still have beneficial changes in their eating behaviors. 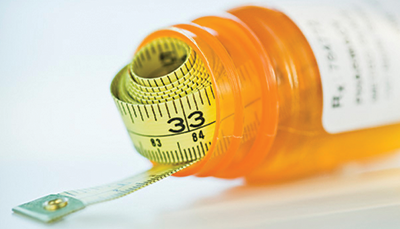 Risks of anti-obesity medicines should be viewed within a real-life context. Anyone overweight or obese has a high risk for developing diabetes, hypertension, heart failure, cancer and a long list of other serious medical problems. Remaining overweight or obese is much, much, much riskier than is taking an anti-obesity medicine. Bad health outcomes attributed to these drugs by the FDA, many pharmacists and many doctors have never occurred after hundreds of millions of patients have taken them for many decades. For example: Many say taking phentermine will cause high blood pressure. The truth is that patients treated with phentermine most commonly develop lower blood pressures and that hypertensive patients who take phentermine and lose weight often require lower doses of anti-hypertensive medicines or even get off them entirely. Risks of taking a medicine to help with weight loss have been shamefully over-emphasized by the government (FDA), by the news media, by the medical academies and by mainstream physicians who have NOT had the clinical expertise using anti-obesity medicines for decades. Who is the regional expert? Ed J. Hendricks, M.D. is an Obesity Medicine Specialist with nearly 30 years of experience and expertise in treating obesity with anti-obesity medicines. 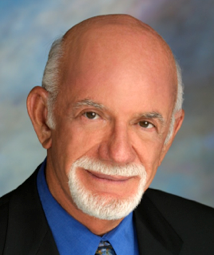 Dr. Hendricks served on the FDA advisory panel of experts for anti-obesity and endocrine drugs (FDA EMDAC) from 2010 to 2015. Dr. Hendricks’ reputation as an anti-obesity drug expert is both national and international. His research on anti-obesity medicines has been published in widely-read medical journals including Obesity, the International Journal of Obesity, Obesity Surgery, Diabetes, Metabolic Syndrome and Obesity, and the American Journal of Therapeutics. His research papers have been cited as references in multiple professional journals. His commentary on anti-obesity medicines has been published in the journal Circulation, the International Journal of Cardiology, Yonsei Medical Journal, the American Journal of Emergency Medicine, the journal Neurologist, the journal Diabetes, Obesity and Metabolism, and the Journal of the American Pharmacy Association. Dr. Hendricks has lectured on anti-obesity drugs throughout the United States and in the United Kingdom, Australia, New Zealand, Singapore, Hong Kong, and South Korea.